Avopiling was established in 1989 by its current owner and Managing Director, Avo Tevanian (B.Tech Civil Engineer) who has over 35 years of diverse experience in the field of piling and ground engineering. The company has now grown to become a market leader in the piling industry. Due to the secure foundation, Avopiling effectively achieves the confidence of their clientele by delivering a high quality product whilst performing engineering excellence. At Avopiling, our team of engineers and site operatives are highly qualified in the field of piling and ground engineering. We have successfully delivered a wide range of projects including civil works, sheet piling, CFA piling, bored piers, retaining walls and abutments, foundations for multi-storey buildings, bridge foundations for roads and rail, drilling for deep large diameter shafts and offshore piling throughout Australia. These services are provided to a broad client base of developers, builders, engineering consultants, architects, mining industry, government and public organizations. Avopiling will be very pleased to be part of your team in providing services for economical and best engineering solutions for foundation works in any type of challenging ground. 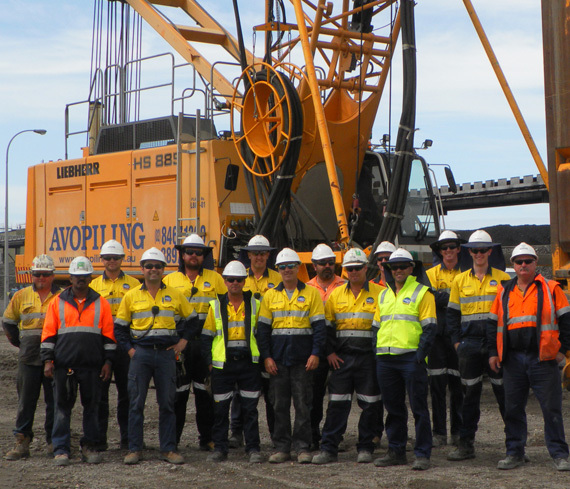 "We at Avopiling have a unique position in the Australian piling and foundation marketplace. With capabilities ranging from complex diaphragm walls and the latest ground engineering applications, through to the simplest bored pile application - we can deliver." Avopiling offer a broad range of geotechnical and related civil works solutions from design through to construction and certification. These include Diaphragm Walls using either a Hydraulic Trench Cutter, hydraulic or mechanical grabs up to depths of 50m, Cutter Soil Mixing, bored or CFA piles, secant, contiguous or soldier pile retaining walls and sheet piled shoring systems. These can include ground anchors and/or propped options where necessary. 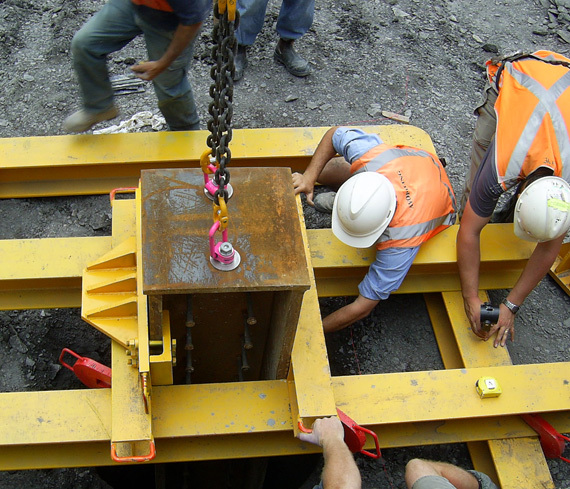 With our modern, state of the art piling rigs, equipment and boring tools we also have the capacity to install the full repertoire of foundation piled systems including bored piers which can include the use of segmental casing. From pile diameters ranging from 450mm up to 3800mm and to depths of 90m, CFA piles from 450mm to 1200mm diameter and depths to 36m, driven steel or concrete foundation piles. We are also experienced in the construction of relating civil works such as pile caps and capping beams. staff is able to nurture a culture of team building and company loyalty that combines to make Avopiling the market leader that it is today. 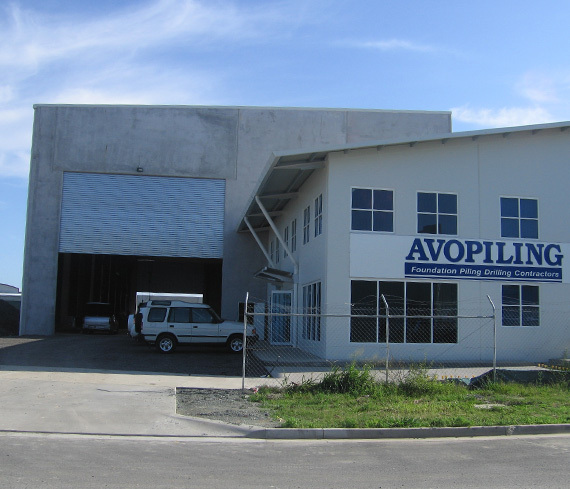 Avopiling also has an in-house design and manufacturing team at its yards which provides it with the capacity to design and build specialist items and equipment to meet specific job requirements. One of Avopiling’s strongest reasons for success has been its ability to find design and construct solutions to non-standard construction problems, providing it with the reputation to get the job done with “rock solid” performance. We have certified Enterprise Bargaining Agreements in place to cover our employees wherever they work. Avopiling continually strives to ensure our systems provide efficient service in all areas. We have established a process to have our Quality, OHS and Environmental systems accredited, achieving conformity to the recognized standards. Accreditation to AS/NZS ISO 9001 for our Quality System was achieved in September 2007 and accreditation of our well established OHS system to AS/NZS / ISO 4801 was achieved in January 2010. On the 9th of September 2016, we have achieved accreditation of our Environmental system to AS NZS ISO 14001. "We meet all required standards to support our workforce"